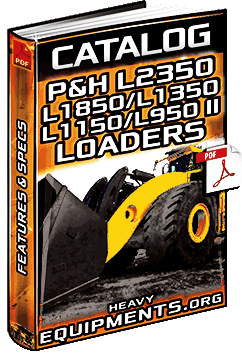 Free Download Catalogue: P&H L2350, L1850, L1350, L1150 & L950 Gen 2 Mining Loaders - Features & Specs in Full PDF. 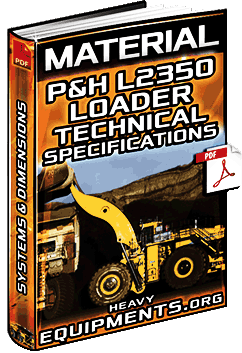 Free Download Material for P&H L2350 II Wheel Loader - Data, Technical Specifications, Dimensions & Features in Full PDF. Informative Video: Lowboy Hauling the World's Largest Wheel Loader - P&H L2350 - Capacity is 40.5m3 and Lift 72 t.
Informative Video for Letourneau L2350 Wheel Loader at MINExpo - Overview, Features & Benefits. 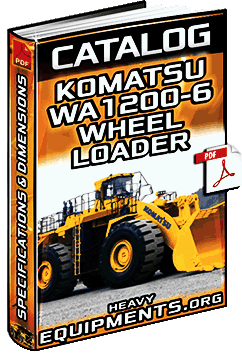 Free Download Catalogue: Komatsu WA1200-6 Wheel Loader - Overview, Features, Dimensions & Specifications in Full PDF.